the results for the indices which contain more than one component. 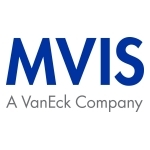 Detailed review results can be found on https://www.mvis-indices.com/indices/digital-assets. become effective on the next trading day. Indices can be found on www.mvis-indices.com. The next monthly review will be announced on 25 April 2019.
underlying indices for financial products.